DENVER, Pa. – Morphy Auctions invites collectors of edged weapons, armor and militaria to take a trip back in time on November 7 and 8 at their central Pennsylvania gallery with a 950-lot sale that ranges from suits of armor to flags, daggers, swords and historical relics of the Civil War and World War II. The extensive selection of swords and edged weapons includes Nazi German, English, Japanese, French, African and American examples, with a specialty grouping of Civil War items, including Confederate. An especially well documented Confederate Civil War officer’s sword is accompanied by a 2011 letter from a direct descendant of the weapon’s original owner, Capt. J.F. Smith of Company K, Eutaw (Alabama) Volunteers and the 20th Alabama Infantry. Smith’s initials, “J.F.S.,” are inscribed on the throat mount. The auction estimate is $15,000-$25,000. There are many other extremely rare swords. Among them are a fine Ames 1833 dragoon officer’s sword, one of only five or six known to exist and the only one with its original scabbard; and a Third Reich sword designed and authorized in 1938 for use by German diplomats in formal attire. “This exact sword is featured in John Angolia’s book titled ‘Swords of Germany, 1900/1945,’” said Dan Morphy, president of Morphy Auctions. In all, there are well over 100 lots of Third Reich swords, daggers, flags, pins, hats and other items of apparel. Some may dream of yachts or sports cars, but military vehicle enthusiasts like the rumble of rocky terrain below them. For those collectors, Morphy’s offers an extremely desirable World War II US Military M3 half-track in good running order. “These personnel carriers saw widespread use by American forces during World War II in North Africa, Italy, and then during and after landings at Normandy,” Dan Morphy noted. Equipped with a dummy-display .50 caliber machine gun on ring mount and two .30 caliber Browning 1919A4 machine guns mounted on either side of the cargo compartment, this great find is expected to attract a winning bid of $40,000-$60,000. A sobering reminder of World War II and the infamous bombing of Pearl Harbor is the life ring recovered after the attack on Dec. 7, 1941. “Only a few other rings of its type are known to exist, and they are held in institutional collections,” said Morphy. “The ring displayed at the Pearl Harbor museum came from one of the Arizona’s 50-foot launches, but the one we are selling actually came off the ship.” Emblazoned “U.S.S. Arizona BB 39,” it is one of the most historically important objects in the sale. It is estimated at $20,000-$25,000. The November 7-8 Edged Weapons, Armor & Militaria Auction will start at 9 a.m. Eastern Time at Morphy’s gallery in Denver, Pa. All forms of bidding will be available, including live via the Internet through Morphy Live. 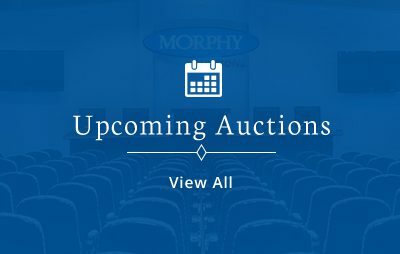 Questions: call 877-968-8880, email dan.morphy@nullmorphyauctions.com Online: www.morphyauctions.com.